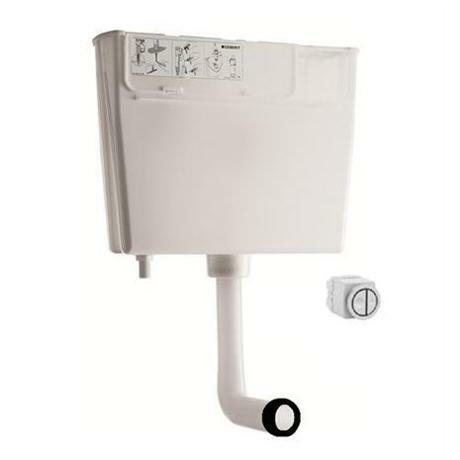 The Dual Flush Cistern is manufactured by Geberit and is designed to be used on Back to wall floor standing WC's in low height concealed installations. The cistern is pneumatically operated and has a protection cover that can be removed for servicing. The cistern can be fitted to incoming water supply at either side. Victorian Plumbing offers this amazing Geberit Cistern at a great value for money price. Hello, the flush pipe has 360 degree rotation, it can be extended however, it is not recommended as it reduces the water velocity. many thanks for your question.